Oil exploration firm Tullow Oil says the quantity of oil discovered in Uganda has surpassed the 2 billion barrels that were confirmed last year. The announcement indicates that more crude oil remains beneath the Albertine Graben in the western part of Uganda. “Rift Basins are a core play for Tullow and to-date we have discovered and identified resources in excess of 2.5 billion barrels in the Lake Albert Rift Basin in Uganda,” said Mr Angus McCoss, the exploration director of Tullow Oil Plc not long ago. 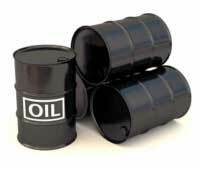 At $74 (Shs166,000) per barrel of oil, the discovery so far means that Uganda and Tullow have the potential to earn up to $148 billion from the current oil that has been found in the western and northern regions. That potential revenue is equivalent to Shs333 trillion enough to fund Uganda’s current national budget for the next 42 years without donor funding. However, that kind of revenue can only be realised if the impasse between Uganda and oil companies like; Tullow and Heritage Oil and Gas is dealt with to give way to the establishment of a $10 billion oil refinery in the country. The government last month announced that it had taken back Kingfisher 2, a major oil field on Block 3A, from Tullow. Energy Minister Hilary Onek said the block was taken away because Tullow and Heritage did not renew their licence for the Block. The repossession came amid a dispute in which the government is demanding that Tullow’s ex-business partner Heritage Oil and Gas pays about $405 million (Shs911 billion) to Uganda Revenue Authority as capital gains tax. The cash is Uganda’s expected share from the $1.5 billion deal through which Tullow acquired Heritage’s 50 per cent interests in block 3A and 1.”We put our foot down and nothing moves until they have paid tax,” Mr Onek told Daily Monitor last month. Mr McCoss declared their total Uganda oil capacity figures as Tullow announced an acquisition of half the interests in six oil exploration licences covering the East African Rift Basins of Kenya and Ethiopia from the Africa Oil Corporation, a Canadian oil and gas exploration company with interest in Africa.